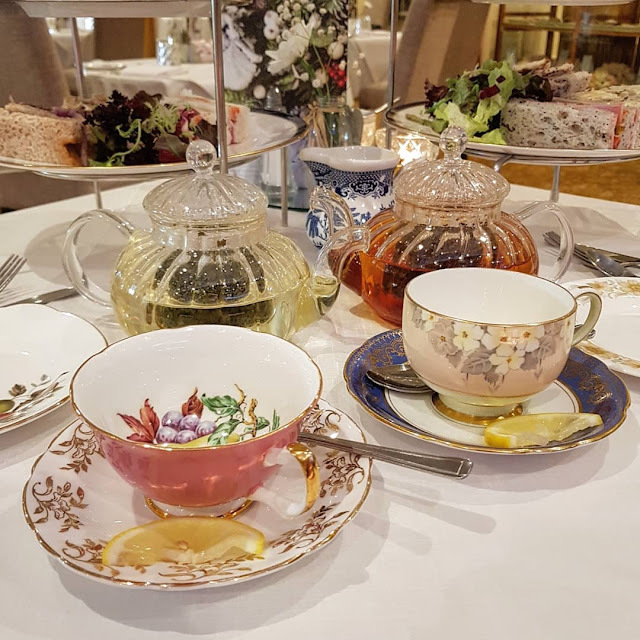 It’s no secret that I absolutely love afternoon tea and when I was invited to review Bertie’s in Elland, Halifax (about 25mins drive from Leeds), I timed it so that I could take my mum with me as my plus one as we drove back from a weekend away in Chester. We arrived in Halifax a little early so parked up near Eureka (the best kids museum ever) and went for a little explore of The Piece Hall which is full of independent shops before heading to Bertie’s for afternoon tea. 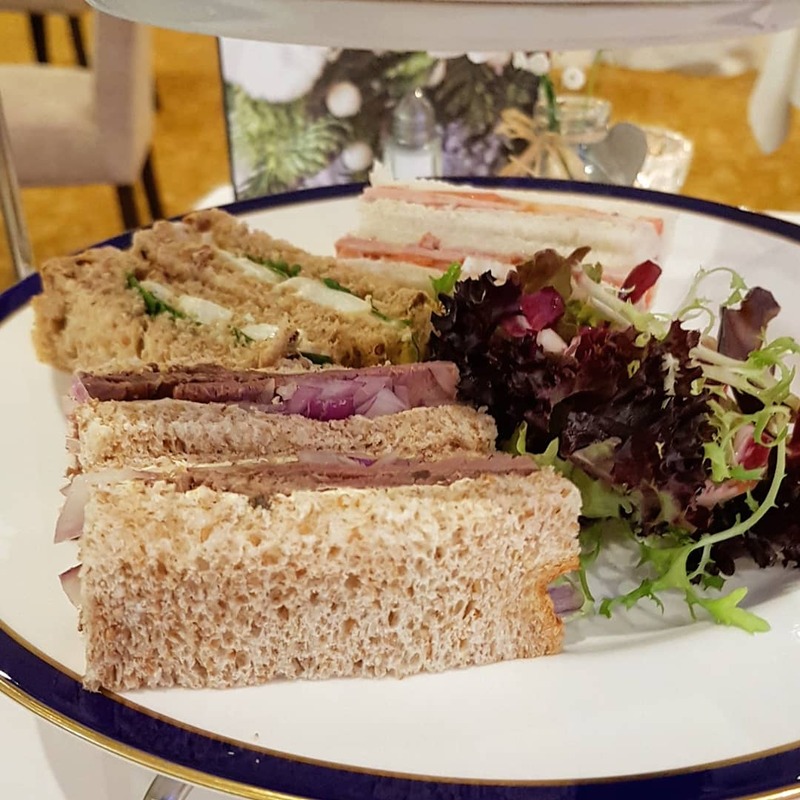 We arrived and were welcomed into the building which is an absolutely huge venue for formal occasions and though during the week, they offer afternoon tea and other food options, it did feel a little like a very luxurious sit down meal. Almost like we had a table for two at a wedding breakfast – and I absolutely loved it as it felt a bit more special. The staff were very accommodating to our dietary requirements as neither of us eat fish and my mum is gluten free. However, those requirements didn’t mean a compromise on quality at all which I was really pleased about (it’s unusual to go somewhere and for the gluten free bread to be nice!). All of the teas available are loose leaf and arrive in a glass teapot with a vintage china teacup and saucer. I opted for green tea and my mum went for breakfast tea and we enjoyed both – we drank at least a pot and a half of it each. The staff were more than happy for us to have more hot water or fresh pots of tea too. 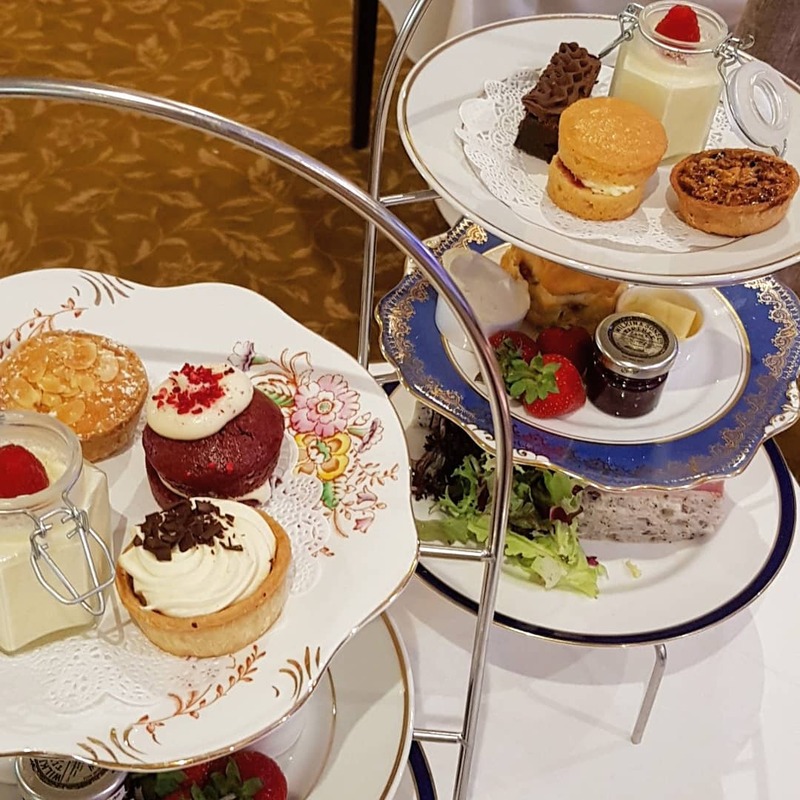 Our afternoon teas arrived on separate stands with six finger sandwiches, a scone and four mini desserts each, which was a lot! We each had two ham and mustard, beef and red onion and egg mayonnaise finger sandwiches, all of which we both very much enjoyed. 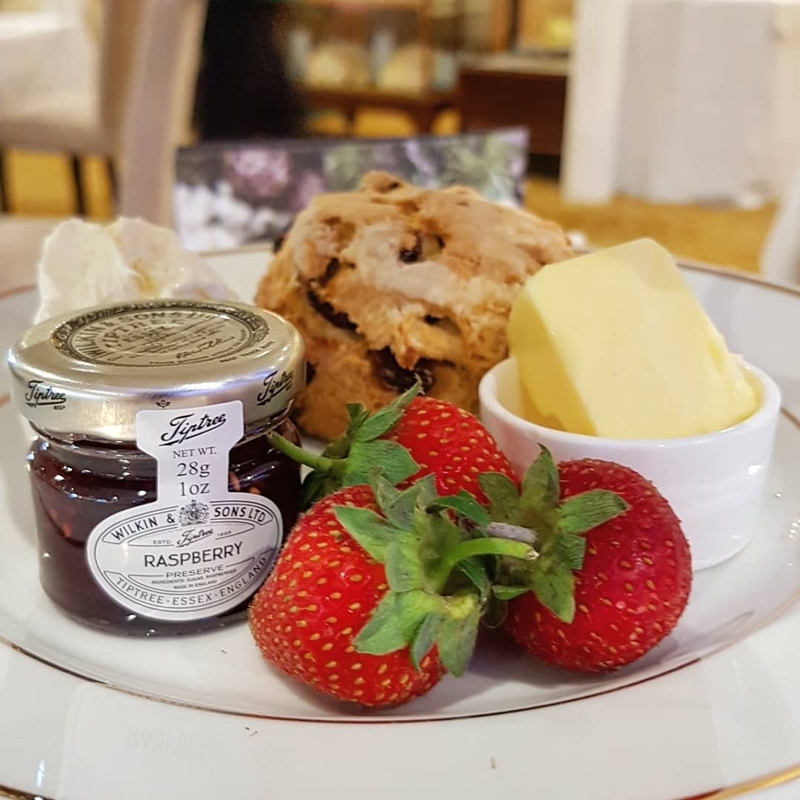 Our scones were fruit and came with butter, raspberry jam and clotted cream. I ran an Instagram poll whilst I was there to see where my followers stand on whether jam or cream goes on first and out of my voters, it was a 50/50 split so apparently there’s no right answer! The desserts were delicious too. Mine were lemon posset served in a jar with a raspberry on top, a red velvet cake, bakewell tart and banoffee pie. I managed to eat the lemon posset and then after that could only manage half of the cakes! My favourite was definitely the bakewell tart which was absolutely delicious. Mum’s gluten free desserts were the lemon posset, a chocolate brownie, pecan pie and Victoria sponge. I must admit, I was a little bit jealous of her brownie! 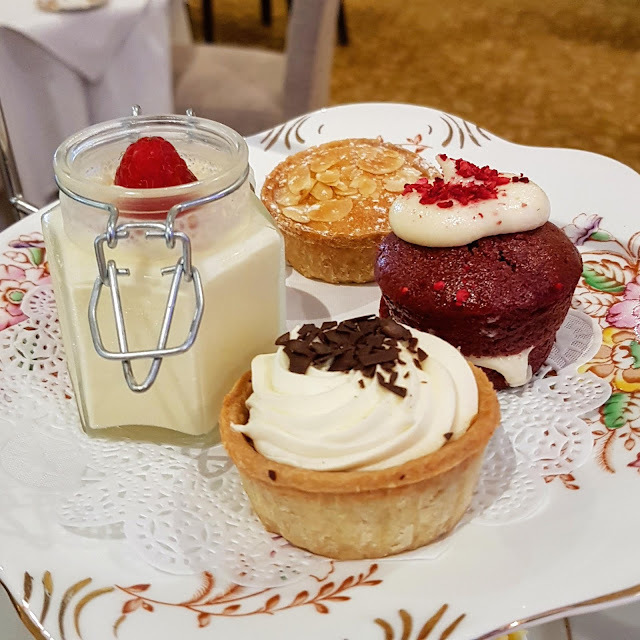 We were very impressed by our afternoon teas at Bertie’s and it’s definitely worth the trip to Elland for it as it’s an absolute hidden gem. We couldn’t fault the service, the setting or the food and would very much recommend it. We got to have a peek at the ballroom upstairs too and it would be the most incredible event space with a stage and crystal chandeliers. 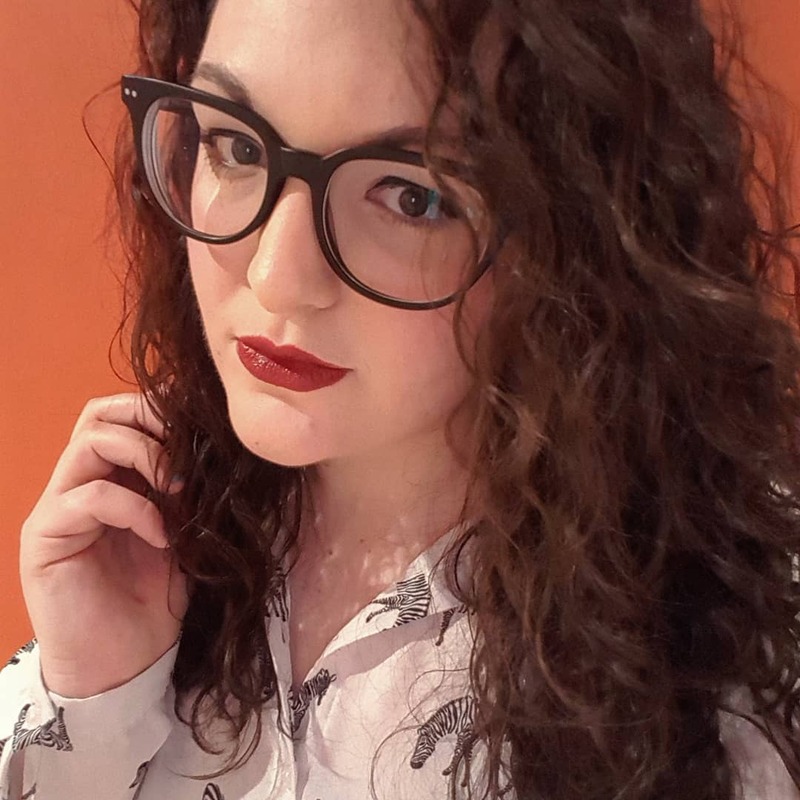 We left feeling absolutely stuffed and like it had been a really lovely treat so we’re keen to go back for an occasion. Have you ever been to Bertie’s in Elland? If not, you definitely should.